Should I have a dashboard camera fitted in my lease car? Should you have a dashboard camera fitted in your car? It could save you money if you were to be involved in a crash but are they worth the price? Lease car repairs | Who repairs my lease car? With any car comes the burden of maintaining, servicing and repairing the vehicle. 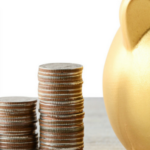 This can bring unexpected costs and can stretch your budget. Leasing can help to control these eventualities. Your car lease doesn't include servicing, maintenance and repair costs unless you opt to purchase a maintenance package. 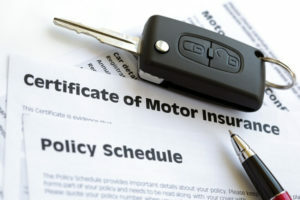 But, your car is covered by a manufacturer's warranty, usually for the duration of your lease. This means those key elements of the vehicle such as the engine, gearbox and some electrics are covered. If you plan to lease the car for longer than the warranty period you can purchase an extended warranty to ensure you keep your cover. Any defects or damage that occurs during normal vehicle usage should be rectified as soon as possible. This will ensure that the consequential damage is minimised. Are all lease cars brand new? | Can you get second hand lease cars? 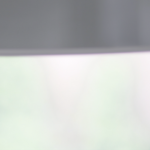 Investigating whether all lease cars are brand new and whether you can obtain a lease on a second hand car. Are all lease cars brand new? Very simply, 99% of lease cars offered into the marketplace are brand new. 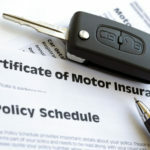 Some finance companies will offer lease contracts on second-hand cars up to 12 months old but these aren't commonplace. Second-hand car leases are known as VAT Qualifying vehicles. In this article, we'll explore the pros and cons of leasing a second-hand vehicle. We'll also investigate why it's not such a common occurrence. Frequently asked questions about getting a lease car for someone else. 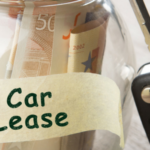 Do lease car payments include interest? Are my lease car payments inclusive of interest? The largest part of the lease payment is covering depreciation of the vehicle during the course of your lease. This can be calculated by dividing the total cost of the vehicle by the expected value of the vehicle at the end of your lease term.Then comes the interest payment. This is where the lease company makes their profit. You will be charged interest on the cost of the vehicle plus the expected value of the vehicle at the end of your lease. 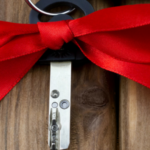 Ensuring that leasing is right for you is the fundamental question you must ask yourself before you start your leasing journey. Think of leasing a car as a long journey. First, you must know that your destination is definitely the right place for you to go. Leasing opposed to buying comes with several advantages but there are some drawbacks. Here we'll highlight these for you. Do lease cars include servicing? | What’s included in my lease? Looking into what is and isn't included in your lease. Do lease cars include servicing? The responsibility for servicing and maintaining your lease car lies with you. But do lease cars include servicing? 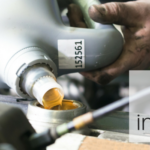 We'll take you through everything you need to know in this article.A car service covers essential maintenance on the vehicle. It includes things like replacing the oil, changing the oil filter, checking all engine components and electrics. It also includes checks on wearables like tyres and brakes. The car service is designed to keep the car running smoothly and to prevent any major faults as a result of the car not being maintained. 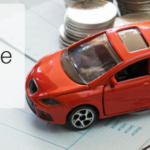 How to afford your first lease car | What costs are there to cover? Choosing to start your first lease is one of the cheapest ways to drive a brand new car. The initial payment is far lower than paying the deposit on a new car purchase. The monthly repayments are also lower, and when the lease term ends you won't be charged a penny more unless you've exceeded your mileage allowance. But, despite being the cheaper option, driving a lease car still comes with a price tag. Make sure you aren't caught out at the end of your lease contract. 1 to 5 years is quite a long time. It might not feel it, but it’s a lot of driving and it’s a lot of time in your lease car. It’s also a long time to try and not damage your lease car. But sometimes, the damage is inevitable. Be it a scratch, a dent or something internal such as having to replace air filters or spark plugs. If you don’t get these things fixed by the time your lease contract is up, then you could incur charges. But there are ways to avoid this. In this article, we’ll be looking at how to pre-emptively avoid damage charges, how to avoid them before inspection and what happens if you do get charged. When your lease contract comes to an end, your car will undergo an inspection. This will happen either a week before or on the day of collection. When it happens is down to the finance house, so it’s best to check with them. Who Pays for the Insurance on a Lease Car? Where does Vehicle Tax go? By entering your email address you agree for OSV to store and process your data and send you weekly / monthly newsletters. OSV Limited is an Appointed Representative of Automotive Compliance Ltd, which is authorised and regulated by the Financial Conduct Authority (FCA No 497010). Automotive Compliance Ltd’s permissions as a Principal Firm allows OSV Limited to act as a credit broker, not as lender, for the introduction to a limited number of finance providers and to act as an agent on behalf of the insurer for insurance mediation activities only. OSV Ltd a Registered Company in England and Wales No: 04533176 and whose registered office is D1 Yeoman Gate, Yeoman Way, Worthing, West Sussex BN133QZ. ICO: Z1606144 Finance is subject to status.